Migrants’ health is attracting substantial global interest. 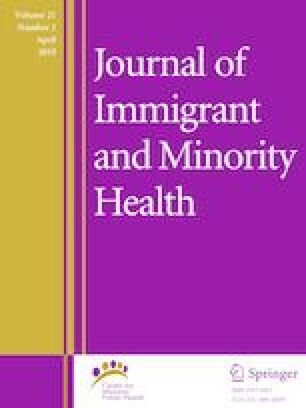 We aimed to identify barriers and differences in healthcare services utilization between migrants and natives in a nationally representative sample using data from the National Health Survey 2014. A total of 18,165 participants providing information on country of birth and nationality were included, and comparison of healthcare services utilization was made by using participants born in Portugal and with Portuguese nationality as the reference group. Migrants reported a lower frequency of medical visits, a higher consumption of medication without a prescription and less use of preventive care services. The main reasons for not attending medical consultations among migrants were the absence of need and financial difficulties. This study illustrates inequalities in healthcare use among migrants in Portugal, and provides useful information for enlightening policymakers and healthcare providers to develop health policies that can address migrants’ needs. The authors thank the Instituto Nacional de Estatística (INE) for providing the data. The Inquérito Nacional de Saúde 2014 was conducted under the supervision of the Departamento de Estatísticas Demográficas e Sociais/Serviço de Estatísticas das Condições de Vida from INE, with the collaboration of the Instituto Nacional de Saúde Doutor Ricardo Jorge and Unit F5 “Education, health and social protection” of Eurostat. This study was funded by FEDER through the Operational Programme Competitiveness and Internationalization and national funding from the Foundation for Science and Technology—FCT (Portuguese Ministry of Science, Technology and Higher Education) under the Unidade de Investigação em Epidemiologia - Instituto de Saúde Pública da Universidade do Porto (EPIUnit) (POCI-01-0145-FEDER-006862; Ref. UID/DTP/04750/2013); the PhD Grants PD/BD/128066/2016 (A. N. Shaaban) and SFRH/BD/102585/2014 (S. Morais) and the Postdoc Grant SFRH/BPD/108751/2015 (B. Peleteiro) co-funded by FCT and the POCH/FSE Program. European Centre for Disease Prevention and Control. Migrant health. Solna, Sweden. https://ecdc.europa.eu/en/migrant-health (2017). Accessed 05 Jan 2017. United Nations. Vulnerable People. New York, United States. http://www.un.org/en/letsfightracism/migrants.shtml (2016). Accessed 05 Jan 2017. Livingston G, Minushkin S, Cohn DV. Hispanics and health care in the United States: Hispanics and Chronic Disease in the U.S.: Pew Research Centre. http://www.pewhispanic.org/2008/08/13/ii-hispanics-and-chronic-disease-in-the-u-s/ (2008). Accessed 05 Jan 2017. Dental Tribune International. Survey shows impact of economic crisis on oral health in Portugal. (2015). http://www.dental-tribune.com/articles/news/europe/22901_survey_shows_impact_of_economic_crisis_on_oral_health_in_portugal.html.